Due to our cold snowy winter, there were quite a few casualties in the garden. Lots of damage to the roses and other shrubs. But I am amazed at how they are all bouncing back. Nature does it's own pruning sometimes. It's so encouraging to also see the flowers that survived below the surface now coming into bloom. Today, at long last, I was able to sit down in my studio and start my first flower drawing of the season. 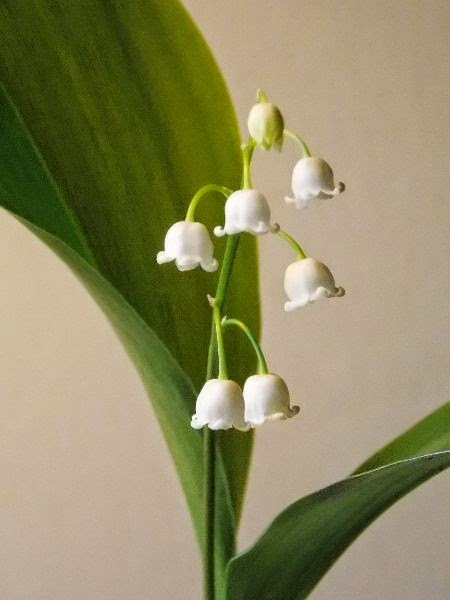 One of my favorites, lily-of-the-valley. I love the gracefulness and simplicity of it's form. To begin the process, I arranged the cutting in a vase and took many photos should the flowers should fade before the drawing is completed. My preliminary sketch is now finished. The next step will be to do some color sketches in my sketchbook.